This wall mount mirror comes with hardwire installation and a single face makeup mirror. 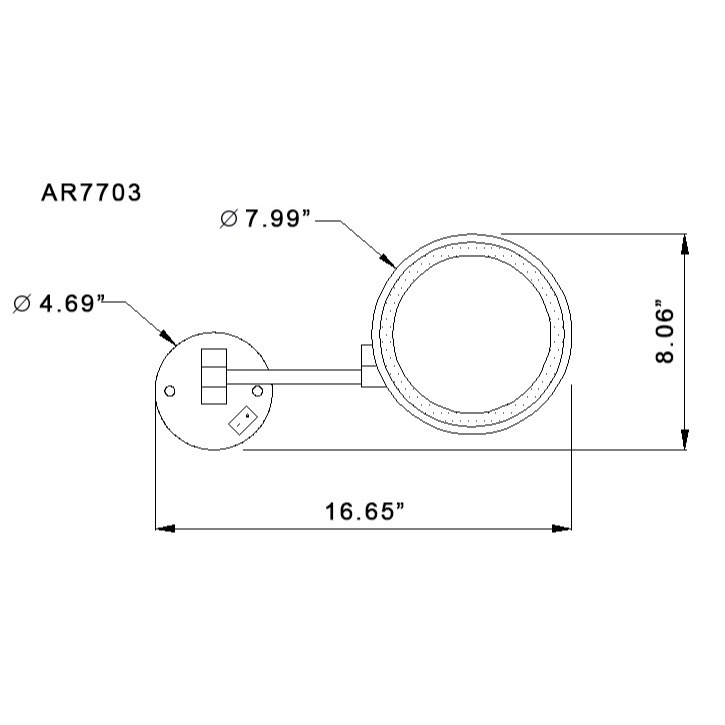 Its trendy round design is almost 8" wide and features 3x magnification and build-in LED light. Available in two finishes, chrome or satin nickel, it's made of brass and has a convenient on/off switch built into the base. 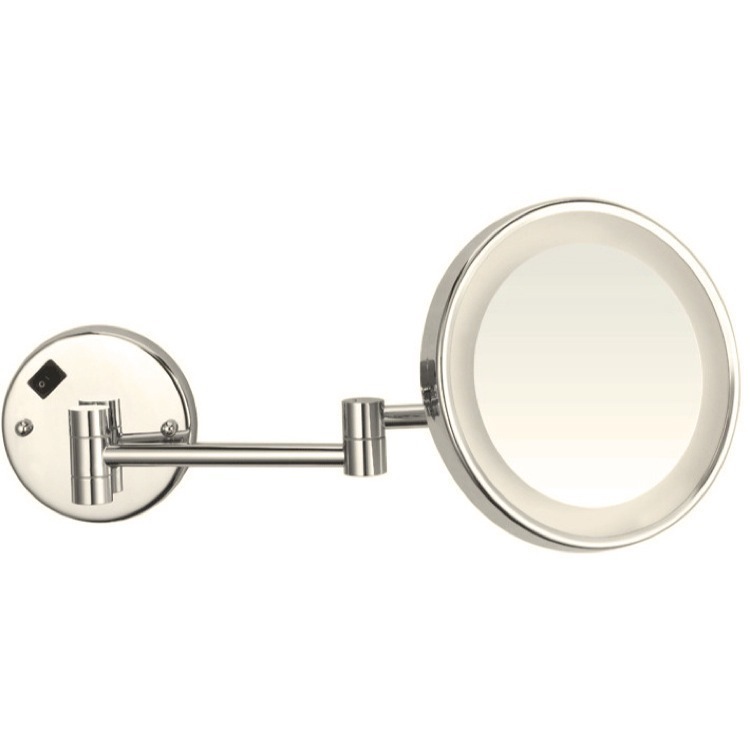 This sleek and stylish mirror is the perfect addition to your contemporary bathroom.